Big Cedar is focusing on fitness and is offering a metabolism makeover class on August 2, 2011. This interactive class explains how your food choices, hormones, and essential fatty acids affect your energy and your ability to lose or maintain weight. Learn what food combinations can work together to speed metabolism, how your daily activities affect metabolism, how hormonal imbalances can slow your thyroid and how to schedule your meals to boost metabolism. Taught by Jodelle Fitzwater, a Certified Yoga Instructor, Certified Personal Trainer, and Certified Nutrition Coach. Please call 417-225-6343 for reservations or more information. 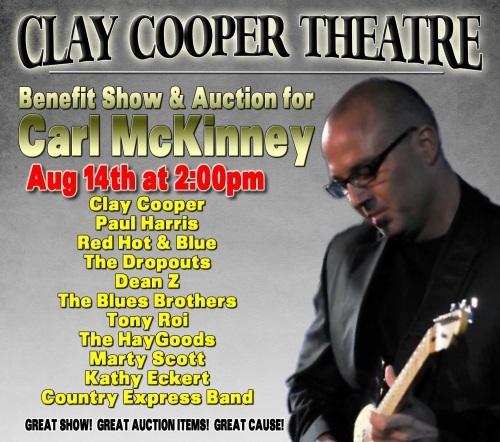 Carl is a longtime entertainer/musician who has worked with many shows, including Clay Cooper’s Country Music Express, Tony Roi, Cassandre, Leona Williams, Red Hot & Blue, 14 Karat Country, among others. He also worked as a Stone County Deputy Sheriff, as well as an officer for the Branson West Police Department. Carl is suffering from late stage Lymes Disease which has attacked many areas of his body and resulted in a heart attack, brain tumor, and osteoarthritis in his joints, just to name a few. He has been unable to work for the last year and is facing many more months of rehabilitation and surgeries, leaving him and his family in financial dire straits. In true Branson spirit, Carl’s friends, neighbors, and fellow performers are coming to the rescue! BRANSON, MISSOURI – Frontier Airlines announced today a second nonstop Friday flight to Denver (DEN) at Branson Airport (BKG) beginning September 9, 2011. This is in addition to the recently announced nonstop service to Austin (AUS) and Phoenix (PHX), making a total of four nonstop markets served by Frontier including Milwaukee (MKE). The new Friday flight will depart Denver at 3:15 PM and arrive in Branson at 6:02 PM, then depart Branson at 6:45 PM and arrive in Denver at 8:01 PM. The existing Denver flight departs daily at 11:20 AM and arrives in Branson at 2:05 PM, then departs Branson at 2:56 PM and arrives in Denver at 3:57 PM. Along with the additional nonstop Denver flight, nonstop service to Austin begins September 16, 2011 operating Monday, Wednesday and Friday and nonstop Saturday service to Phoenix begins September 17, 2011. Branson Airport offers a total of 10 nonstop destinations with one stop connections to over 100 destinations; on Frontier Airlines to Austin, Denver, Milwaukee and Phoenix; on AirTran Airways to Atlanta, Baltimore/Washington, Chicago, Houston and Orlando, and on Branson AirExpress to Dallas. FlyBranson Travel Services, located in the Branson Airport, can assist with everything Branson and more, including airfare, lodging, shows, attractions, golf with select vacation packages, shows and attractions at up to 50% off. For more information visit FlyBransonTravel.com. The Grand Village Shops Welcomes Santa and His Helpers to Branson! Santa Tim and his helpers are back in Branson and visiting The Grand Village Shops this Friday, July 29th from 8:30 am to 11:30 am. The Grand Village, known for its’ 26 unique shops, dining and artisans will welcome children of all ages at a very special Christmas in July Event. The event will include a Party with Santa at Mel’s Hard Luck Diner to include games, puzzles, cookie decorating, pictures with the Santa’s, gifts and back to school supplies complements of Walmart. Carving of Santa’s by our own Peter Engler, Candle Making, Christmas Cookies, and gifts galore! We will have Christmas Caroling all weekend, Thomas Kinkade’s Master Highlighter, Sales going on through-out the center and a toy drive to benefit the children of Joplin. You are all invited in this special Christmas in July Celebration! Kick-off of the event is Friday, July 29th at 8:30 am hosted by Santa and his helpers! Take that special Christmas Photo with Santa on vacation! Surprise Special Guests through-out the morning. Three days of Christmas Celebrations including specials through-out the center. Caroling, a Special Appearance by The Legend of Kung with toys and free ticket give aways, and much more! The Grand Village, welcoming Kids of All Ages! The Ralph Foster Museum will accept paintings for the White River Painting Exhibit Nov. 1– 14, 2011. The Museum hosts this annual juried exhibit to honor the unique Ozarks heritage and to express the Museum’s mission of providing rich, learning experiences about the Ozarks culture through the arts. The White River Painting Exhibit and Sale will take place in the Museum’s Edwards Art Gallery Nov. 15 – Dec. 15. Artists from throughout the Ozarks region are invited to submit paintings that reflect their personal views of what is important to them about the Ozarks. Themes of paintings might reflect an artist’s impressions about the environment, the beauty of the region, history, family, fishing, agriculture, tourism, community, education, architecture, transportation or entertainment. A limit of two paintings created within the past 2 years may be submitted at the Ralph Foster Museum from Nov. 1 – 14 from 9 a.m. to 4 p.m. The entry fee is $5 for one painting. Artists may call 417-690-2603 or e-mail ash@cofo.edu for guidelines and entry forms. Dr. Wade Thompson, Art and Design Head of the College of Arts and Letters at Missouri State University, will serve as this year’s juror. The Awards Ceremony and Gallery Talk will take place on Thursday Nov. 15 at 1 p.m., in Edwards Art Gallery. A reception will follow the ceremony and guests will have the opportunity to purchase paintings. 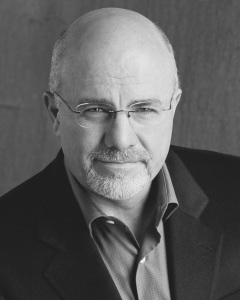 Christian Financial Advisor, Best-Selling Author Dave Ramsey will speak at College of the Ozarks on October 4, at 7 p.m., in the Howell W. Keeter Athletic Complex. The prelude will begin at 6:30 p.m. Tickets are required to this special convocation. There is no cost for the tickets, which will be distributed on a first-come, first-serve basis. To obtain tickets, please call (417) 690-2240. America’s trusted voice on money and business, Dave Ramsey is a personal money management expert and extremely popular national radio personality. His three New York Times best-selling books-Financial Peace, More Than Enough and The Total Money Make-over-have sold more than six million copies combined. By age 26 Ramsey had established a four-million-dollar real estate portfolio, only to lose it by age 30. Using the wisdom he gained, Ramsey rebuilt his financial life and now teaches others how to be responsible with their money, so they can acquire enough wealth to take care of loved ones, retire with dignity, and give generously to others. Ramsey offers that life-changing message as host of a nationally syndicated radio program, “The Dave Ramsey Show,” which is heard by 4.5 million listeners each week. 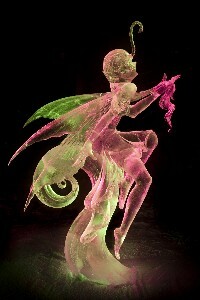 His also offers his message of hope through a variety of mediums and products. His high school and college curriculums are offered in more than 10,000 schools and educational institutions. The major convocation featuring Dave Ramsey is part of The Keeter Center for Character Education Community Convocation Series. For more information, please contact Character Education Office at (417) 690-2242. The Titanic Museum Attraction in Branson, Missouri is the site chosen to host the 2012 National Ice Carving Competition, a preliminary for competitors to end up in the city of Sochi, Russia, the host city for the XXII Olympic Winter Games in 2014. The two-day event will be held on Sat., Feb. 4, and Sun., Feb. 5, 2012. 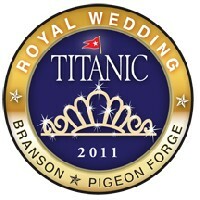 “We are very excited to have the Titanic in Branson host the 2012 NICA U.S. Nationals. This two-day ice carving competition brings the nation’s best ice carvers together for a chance at the title of NICA U.S. Nationals Champion. This will be one of our premier stops on NICA’s International Tour Champions Ice Carving Competition Circuit, currently the largest circuit in the world,” said Jeff Petercsak, Executive Director, National Ice Carving Association. The NICA US National Championship is one of the toughest competitions in the world, crowning three premier champions from this event; Speed Carving Champion, Professional Division US Champion, and US National Champion. The Master Division will carve three blocks of ice on Saturday and one block of ice on Sunday. The Professional Division will carve one block of ice on Saturday and two blocks of ice on Sunday. Dimensions of each block of ice are 40x20x10 inches and each ice block weighs in at 300 pounds. Carvers will use a large array of tools such as chainsaws, chisels, blowtorches, hot irons, knives, drills, and much more. Each carver is evaluated by a panel of NICA (National Ice Carving Association) judges on the following categories: First impression; Utilization of ice; Technical skill (features, textures or effects); Attention to detail; Appearance; Structural technique; Proportion and symmetry; Design & composition; Creativity (technique, topic, theme); and Artistic impression. 2010 Nationals were held in Fairbanks, Alaska. In 2008 and 2009, the Nationals were held in Chicago/Downers Grove, Ill. During the 2010 Olympics in Richmond, BC, Canada, the USA NICA carvers won 1st and 5th places in the Ice Division. “The Titanic Museum has been a great supporter of NICA competitions in the past and we are very excited that the city of Branson was chosen to host our National Championships. It is where the best ice sculptors in the country compete and where one, and only one, competitor will be crowned the 2012 National Champion,” stated Stephan Koch, 2011 NICA President. In honor of the twelve honeymoon couples – Titanic Branson and Titanic Pigeon Forge will host a Royal Wedding on the $1 million Grand Staircase – potential brides will submit their videos explaining why they would like to be married on the Grand Staircase. Titanic Crew will pick three brides for each location and the web viewer will pick (by voting) which couple will be married on the Grand Staircase. Plus the web viewers will pick her dress, flowers, cake and honeymoon destination. A very active web component to the honor bestowed. Big Cedar invites kids ages 7-13 to come learn basic camping skills at this fun day camp held in the great outdoors. The kids will get to pitch a tent, build a fire, enjoy archery, rifle shooting, identify plants and animals, play games, and sing a new song. Transportation to and from Dogwood Canyon Nature Park, admission, morning snack, campfire lunch, and a drawstring backpack full of goodies are included. Meet at Big Cedar’s Guest Services at 8:45am. These camps take place on Saturday’s from 9:00am – 2:00pm and are $50 per participant. Please call Guest Services at 1-800-225-6343 for reservations or more information. Reservations are required.